If you’re spending time in the Riviera Maya, you certainly want to head down to Tulum. Whether you want to see the ruins, snorkel in the beautiful beaches, swim in cenotes, or check out the hip little town, Tulum is a must-see. It makes our list of favorite things to do while in Playa del Carmen, and should be pretty high up on your list of activities during your stay! There are many ways you can get to Tulum from Playa del Carmen. Before starting, there’s a difference between the town of Tulum and the Tulum ruins. Although they are fairly close, the stops will be different on colectivos and you will need to tell your taxi driver where you’re headed. We’re going to cover the main methods of getting down to Tulum, along with our personal recommendation on the easiest way to go! It all depends on your budget, time, and preferences. Our favorite way to get to Tulum from Playa del Carmen is via the colectivos. Colectivos are a form of public transportation, kind of like a large taxi or a mini bus. They’re relatively bare bone, but usually have air conditioning and offer a perfectly comfortable ride. This is the cheapest option, especially for small groups. The prices change often, but it is around 40 pesos a person to get to Tulum. They may take dollars, but it’s best to pay in pesos. They’re relatively easy to catch, and people are friendly in guiding you. To catch a colectivo from Playa del Carmen to Tulum, you will need to head over to Calle 2 between 15th and 20th Avenues. You will see a bunch of colectivos and people working to help. There may be a line, but don’t worry as it usually moves pretty quickly. We’ve seen lines around the block, only to find that we were in a colectivo within ten or fifteen minutes. Make sure you have small bills, and don’t carry too much stuff as space is limited. A backpack is okay, but steer clear of trying to bring big luggage or suitcases on the colectivos. The colectivo makes multiple stops along the way. Make sure you let them know you’re going to the ruins. There are often other people getting off at the ruins, and many colectivos will stop at the ruins every time. However, it’s good to know where you’re going and be ready to shout out the name of your stop. When you get off the colectivo, you will cross the street and walk right into the ruins. To catch a colectivo on the way back, you can either get one right in town at one of the many stops in the main drag, or walk back out to the highway to catch your ride back to Playa del Carmen. You can take a taxi from Playa del Carmen to Tulum pretty easily as well. The cost is significantly more, but it may not be that bad if you have a few people with you. Taxis charge by the ride, while the colectivo and bus charges per person. The cost to take a taxi to Tulum from Playa del Carmen is about 650 pesos. The benefit of a taxi is that you have a bit more control, privacy, and no other stops to make along the way. Your taxi driver can take you directly to the ruins, to the beach, or into town. Like any other taxi rides in the area, you can find taxis everywhere. Flag one down, and let the driver know where you’re going. They will likely be familiar with Tulum and know exactly how to get you there. On the way back, you can catch a taxi right outside the ruins or on the main drag in town. Make sure you know where you’re going on the way back, and where you’d like to be dropped in Playa del Carmen. If you’ve rented a car, you can certainly drive yourself down to Tulum. Driving from Playa del Carmen to Tulum requires highway driving, and you have to stay alert. There are police stops, speed bumps, and colectivos pulling on and off the road. Make sure to pay attention and remember you’re in a foreign country where the social norms and laws may be a bit different than those you’re used to. 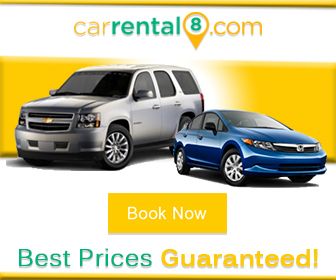 If you do choose to rent a car, we recommend CarRental8 for good rates and reliable vehicles in the area. You can easily find parking in the town of Tulum, and there’s a parking lot right outside the ruins for you. You can take the ADO bus from Playa del Carmen to Tulum, but we don’t recommend it. The trip costs about 70 pesos each way, and takes about an hour. The bus is certainly more comfortable than the colectivos, has air conditioning, and plays movies. However, the increased cost and time it takes to get back and forth make it much less than ideal. If you do choose to take the ADO bus, you can catch it at 5th Avenue and Benito Juarez. The buses generally depart every thirty minutes or so, but you should check the bus schedule on the ADO website to make sure your timing is accurate. We also recommend buying tickets ahead of time if possible, as it will make your trip much easier! You can also take a private transport or shuttle to Tulum from Playa del Carmen. 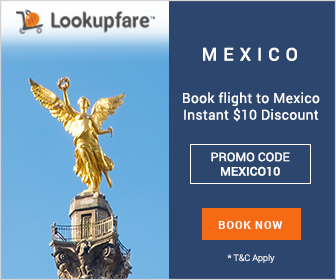 We list some of our recommended tours that include transportation on our page 16 Best Playa del Carmen Tours, Excursions, and Activities. Viator by TripAdvisor offers a number of tours to Tulum from Playa del Carmen, like this private tour to the ruins and cenotes. You can also ask your hotel for a private transport for a good rate.